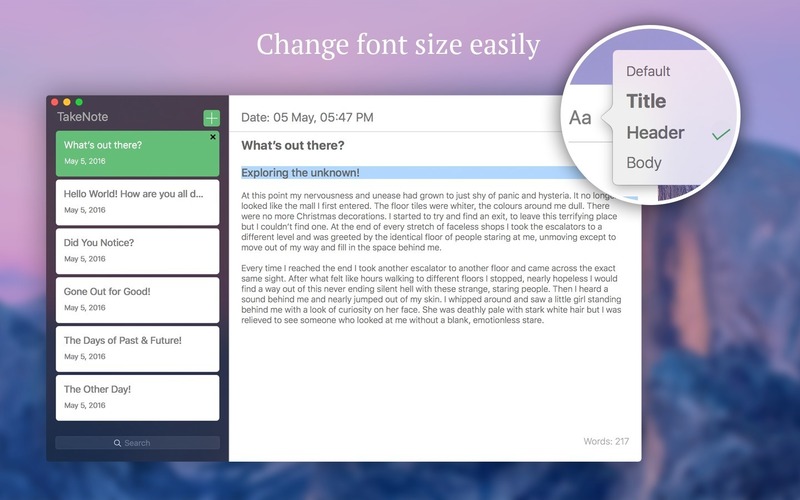 Is there a better alternative to TakeNote? 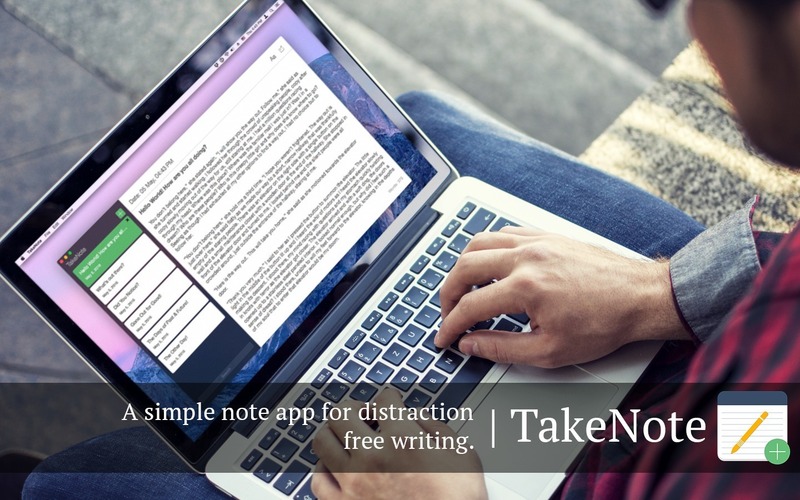 Is TakeNote really the best app in Productivity category? Will TakeNote work good on macOS 10.13.4? 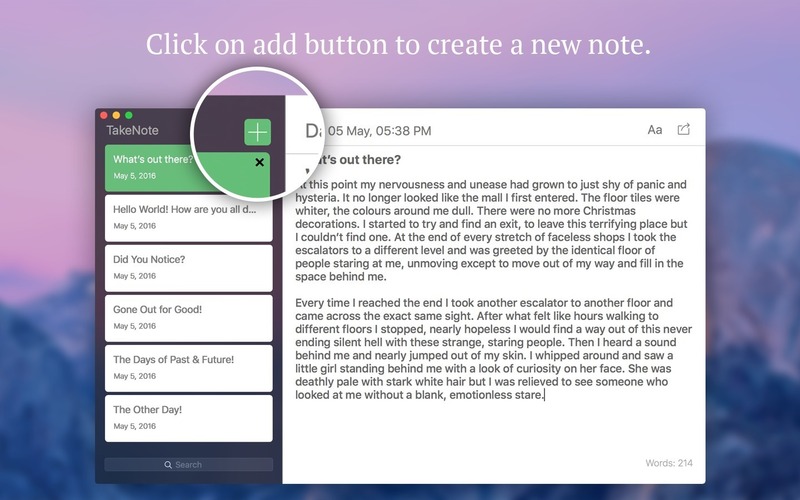 TakeNote is an app which provides you with an easy layout wherein you can write down your thoughts and save them for ever. Just click on the add button and you are ready to go. It offers you a distraction-free interface with features that are needed the most. 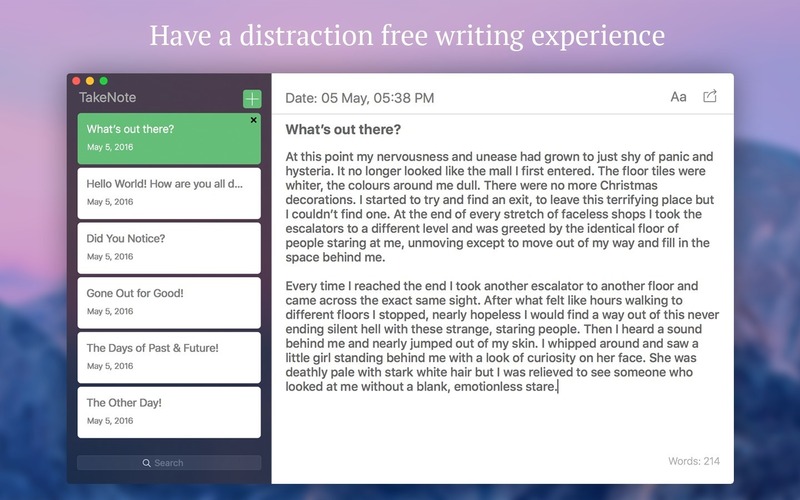 The app is not cramped with too much information or tools which makes it suitable for story writing, essay writing and writing notes in general. TakeNote needs a review. Be the first to review this app and get the discussion started!